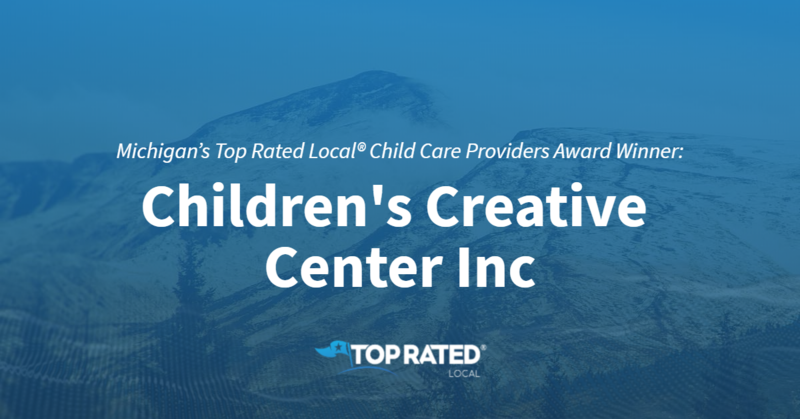 Top Rated Local® is pleased to announce that Children’s Creative Center Inc is a 2019 award winner for child care providers in Michigan! 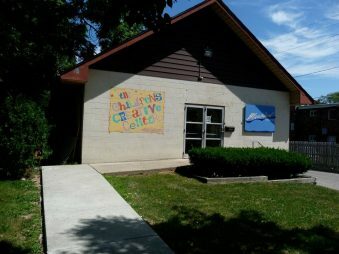 If you’re looking for the right child care center in Ann Arbor for your child, look no further than Children’s Creative Center Inc.
Children’s Creative Center has received dozens of reviews on three verified sites with an average rating of 4.83 stars, earning them a wonderful Rating Score™ of 94.27 and a 2019 Top Rated Local award for ranking among the top 10 child care providers in all of Michigan! “Children’s Creative Center is a wonderful place for a child to learn and grow. The staff is actively involved in all aspects of care and play with the children. Laurie Atwood and her staff have created a community that supports one another with love and friendship.” – Fred P.
Laurie Atwood, the owner of Children’s Creative Center, generously gave us a few minutes of her time to tell us about her award-winning business and its impressive online reputation. To kick off our conversation, we asked Laurie what it is that sets Children’s Creative Center apart from their competition in Michigan. She told us that Children’s Creative Center is really involved with their community with local performances. They’ve raised thousands of dollars for their foundation, “Friends of Children’s Creative Center,” which donates to homeless and less-fortunate people in the community. Laurie went on to tell us that she started Children’s Creative Center with the goal of providing child care to all children, not just those who can afford it. Outside of building a powerful online reputation, Children’s Creative Center has spread the word about who they are and what they do by supporting families around Christmas time and holding benefits for their community, where food and fun are provided to raise awareness about Children’s Creative Center and their mission. Congratulations to the team at Children’s Creative Center Inc for being a 2019 Top Rated Local award winner, and thank you so much, Laurie, for taking the time to speak with us! We highly recommend Children’s Creative Center Inc in Ann Arbor. Visit their website today! Top Rated Local® is pleased to announce that Somerset Painting is a two-time 2019 award winner in Michigan! Make your home look like new again with professional painting services from Somerset Painting in Bloomfield Hills. Somerset Painting has received hundreds of reviews on six verified sites with an average rating of 4.78 stars, earning them a phenomenal Rating Score™ of 97.76 and two 2019 Top Rated Local awards for being ranked among the top 100 businesses and the top painting contractor in all of Michigan! “We were so pleased with how our house turned out. We went from having one of the worst-looking houses in our neighborhood to the best. It looks great and was done with excellence. [This is the] best painting crew out there! These guys pay attention to the details.” – Cody W.
Rick, the owner of Somerset Painting, generously gave us a few minutes of his time to tell us about his award-winning business and its wonderful online reputation. We also wanted to know how the team at Somerset Painting works to make the world a better place. Rick told us that they rescue human trafficking victims. 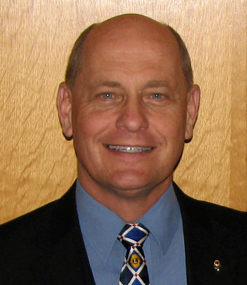 Rick attributes Somerset Painting’s strong online reputation to their commitment to asking their clients for reviews and to never accepting a dime from a client until the job is finished. Outside of building a powerful online reputation, Somerset Painting has spread the word about who they are and what they do through SEO (search engine optimization), Angie’s List, HomeAdvisor and word of mouth. 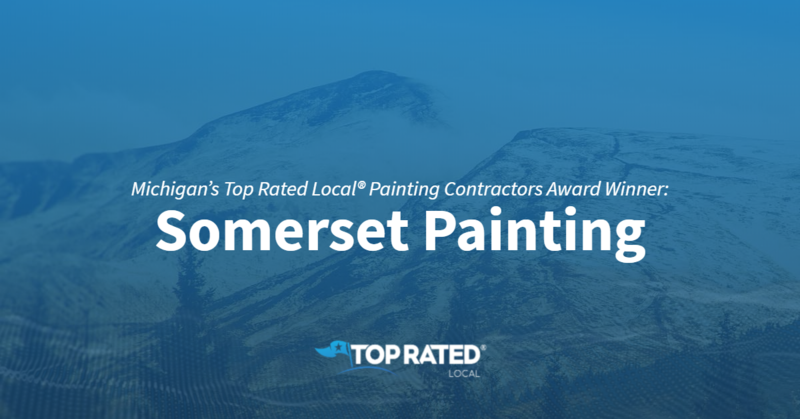 Congratulations to the team at Somerset Painting for being a 2019 Top Rated Local award winner, and thank you so much, Rick, for taking the time to speak with us! We highly recommend Somerset Painting in Bloomfield Hills. Visit their website today! 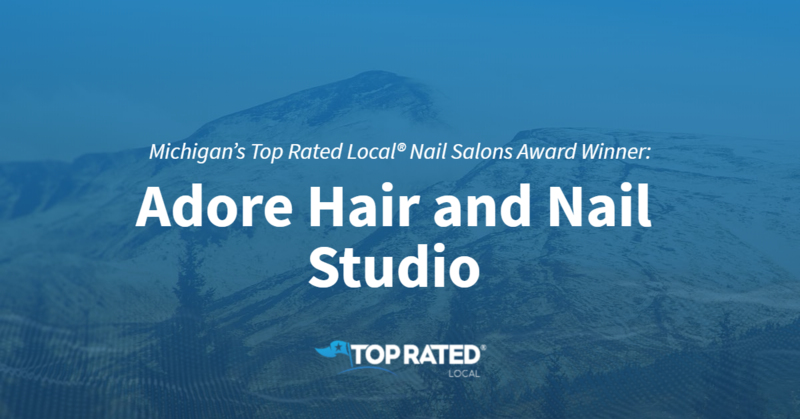 Top Rated Local® is pleased to announce that Adore Hair and Nail Studio is a 2019 award winner for nail salons in Michigan! Whether you’re looking for a haircut, facial waxing or an incredible manicure or pedicure in Saginaw, Adore Hair and Nail Studio is your number one choice. Adore Hair and Nail Studio has received hundreds of reviews on multiple verified sites with an average rating of 4.90 stars, earning them a tremendous Rating Score™ of 93.00 and a 2019 Top Rated Local award for ranking among the top 10 nail salons in all of Michigan! “I just got my hair cut and colored by Amanda, and she also tinted my eyebrows! I am absolutely thrilled with the way everything turned out. Not only was Amanda very nice but she listened to what I wanted and made sure I liked everything as she was doing it. It was an added bonus that her prices were very fair, too. I absolutely love my highlights, and my eyebrows are amazing, I had no idea tinting could make such a big difference. Thanks, Amanda! !” – Haley L.
Jacki Johnson, the owner of Adore Hair and Nail Studio, generously gave us a few minutes of her time to tell us a little more about her award-winning business and its superb online reputation. We also wanted to know what their mission is at Adore Hair and Nail Studio and how they work to make the world a better place. Jacki attributes Adore Hair and Nail Studio’s strong online reputation to the group of amazing stylists they have who promote themselves online, and she told us that they have many different stylists their clients can choose from. Outside of building a powerful online reputation, Adore Hair and Nail Studio has gotten their name out there through Facebook, Instagram and word of mouth. 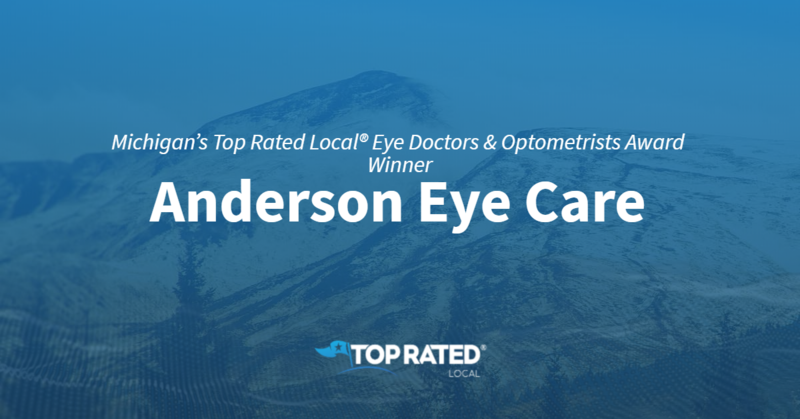 Congratulations to the team at Adore Hair and Nail Studio for being a 2019 Top Rated Local award winner, and thank you so much, Jacki, for taking the time to speak with us! We highly recommend Adore Hair and Nail Studio in Saginaw. Visit their website today! 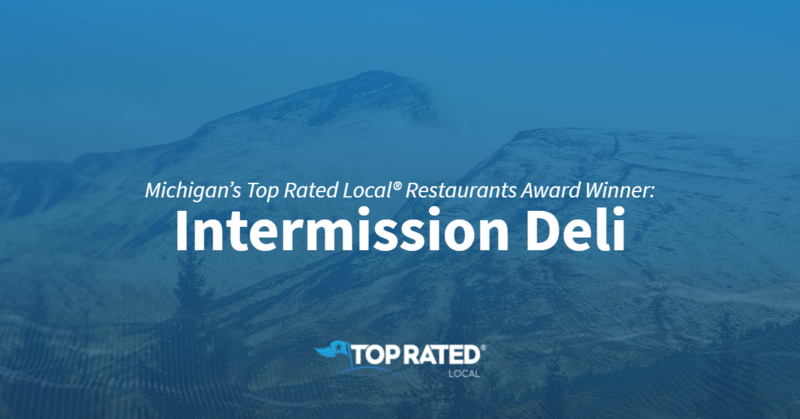 Top Rated Local® is pleased to announce that Intermission Deli is a two-time award winner in Michigan for 2019! For a great bite to eat in Saginaw, there’s no better restaurant to turn to than Intermission Deli. Intermission Deli has received more than 700 reviews on six verified sites with an average rating of 4.85 stars, earning them an impeccable Rating Score™ of 98.48 and two 2019 Top Rated Local awards for being ranked among the top 100 business and the number one restaurant in all of Michigan! “Listen people, this place is no-joke delicious. I have tried several different sandwiches, and they were all amazing. I went in this morning and asked about the tuna because I had heard great things on other reviews. When I asked how the tuna was, both people making subs stopped and proceeded to let me know it was the best tuna ever. That was the last push I needed to do it. Let me just say this, I should have eaten it in a room by myself because I’m pretty sure I looked feral while I was slamming down; indeed, [it was] the best freaking tuna I have ever had. The prices are amazing; the food is absolutely delicious, and the people who work there seem to take pride in working there, and I don’t blame them. [This is a] top-notch sandwich shop!” – Jeannette B. We wanted to learn a little more about Michigan’s number one restaurant and its truly impressive online reputation, so we took a few minutes to talk with Dan Stoney, the Manager of Intermission Deli. The first question we had for Dan was what sets Intermission Deli apart from their competition in Michigan. Dan points to the fact that they are a family-owned business that’s been around since 1982 that always serve fresh, high-quality food — their meats are sliced daily, and their bread is baked fresh every morning. We also wanted to know what their mission is at Intermission Deli. Dan shared with us that their goal is for every customer to leave with a smile and a full belly. Building Success With Customer Loyalty. Dan attributes Intermission Deli’s strong online reputation to their solid clientele and customer loyalty. Outside of building a powerful online reputation, Intermission Deli has gotten their name out there through word of mouth, which according to Dan, comes from their local community foundation. Congratulations to the team at Intermission Deli for being a 2019 Top Rated Local award winner, and thank you so much, Dan, for taking the time to speak with us! We highly recommend Intermission Deli in Saginaw. Visit their website today! 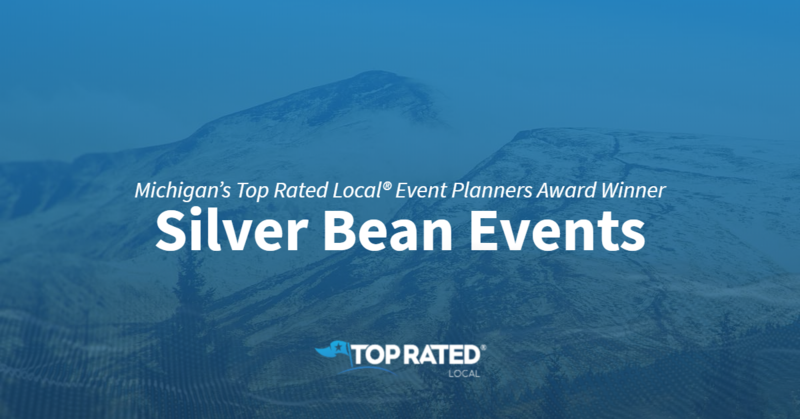 Top Rated Local® is pleased to announce that Silver Bean Events is an award winner for event planners in 2019. If you are looking for an event planner that will help to ease the stress of your big day, look no further than this award-winning company! Silver Bean Events has received many overwhelmingly positive reviews across four different verified sites with an average rating of 4.81 stars, earning them an impressive Rating Score™ of 96.10 and a 2019 Top Rated Local award for ranking as one of the top event planners in Michigan! 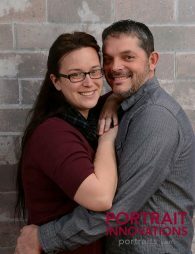 “We are so grateful to Silver Bean Events for helping our wedding run so smoothly! Colleen is professional, warm, and detail oriented. She put so much work into our day-of coordination, from finalizing details with each wedding vendor to setting up and tearing down at each venue, she minimized our stress so that we could focus on celebrating our marriage. We wouldn’t have wanted anyone else to help us make our vision a reality.” – H.I. It is because of excellent reviews like this that Silver Bean Events is now able to call themselves a Top Rated Local award winner! We were excited to learn all about how Silver Bean Events has been able to build such an impressive reputation, so we sat down with the company owner, Colleen Anthony. With as impressive a reputation as Silver Bean Events has grown over the years, we were excited to learn about some of the ways they have marketed the business over the years. While they do have an online presence over social media platforms, they also greatly value word-of-mouth reviews and referrals. They also work on giving back to their community by donating the leftover floral arrangements to local senior centers and nursing homes. Congratulations to Silver Bean Events for being a 2019 Top Rated Local award winner, and special thanks to Colleen for taking the time to speak with us! Top Rated Local® is pleased to announce that Ron’s Garage is an award winner for auto shops in 2019. For all of your auto care needs, we highly recommend this family-owned business who prides themselves on quality service paired with honest, professional pricing and repairs. Ron’s Garage has received many overwhelmingly positive reviews across five different verified sites with an average rating of 4.69 stars, earning them an impressive Rating Score™ of 96.88 and a 2019 Top Rated Local award for ranking as one of the top 10 auto shops in Michigan! “I took my truck to Ron’s Garage after neighbors recommended it. I was not disappointed. The staff were all friendly and helpful. The ability to see service records and make appointments online is very convenient. Ron himself gave me a ride home after I dropped off my vehicle. They gave me honest feedback about repairs I should prepare for in the future. [They offer] reasonable prices, [are] honest, quick and [have] friendly service. If you are interested in putting your money into local businesses, Ron’s is the place to get your vehicle serviced.” – C.L. It is because of excellent reviews like this that Ron’s Garage is now able to call themselves a Top Rated Local award winner! We were excited to learn all about how Ron’s Garage has been able to build such an impressive reputation, so we sat down with the owner, Ron Cowen. 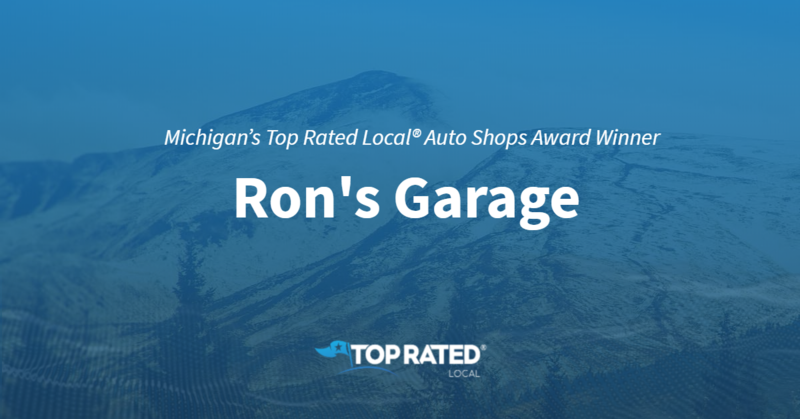 Congratulations to Ron’s Garage for being a 2019 Top Rated Local award winner, and special thanks to Ron for taking the time to speak with us! Michigan’s Top Rated Local® Pest Control Companies Award Winner: First Choice Pest Control, Inc.
Top Rated Local® is pleased to announce that First Choice Pest Control, Inc. is a 2019 award winner for pest control companies in Michigan! If you want to employ the services of one of the best pest control businesses in the state of Michigan, look no further than First Choice Pest Control, Inc. in Davison. First Choice Pest Control, Inc. has over 150 reviews on 4 verified sites with an average rating of 4.61 stars earning them an incredible Rating Score™ of 94.10 and a 2019 Top Rated Local award for being one of the top 10 pest control companies in the entire state of Michigan. “I needed an appointment today due to my extreme phobia concerning mice! The appointment was scheduled within 2 hours of my call. The dispatcher was very courteous. The techs were very courteous and efficient. They answered all my questions and concerns. I will call them should another pest issue arise. Thanks, First Choice!” – Joanne B. We took a few minutes to speak with Trish, owner of First Choice Pest Control, Inc., to learn a little bit more about the business and how they managed to build such an incredible online reputation. We also wanted to understand what Trish and the rest of her team’s mission is every single day. With each and every job, their primary goal is to create a pest-free environment for their clients. Based on the reviews, they are knocking it out of the park. Outside of simply building a strong online reputation to grow the business, First Choice Pest Control, Inc. will offer different types of incentives to their clients. You can also find them at many different events in the community. Congratulations to the team at First Choice Pest Control, Inc. for being a 2019 Top Rated Local award winner, and thank you so much, Trish, for taking the time to speak with us! Learn more about this business online today. 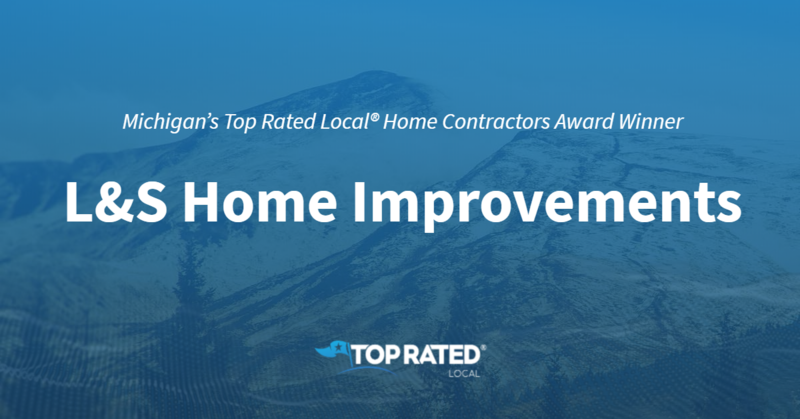 Top Rated Local® is pleased to announce that L&S Home Improvements is an award winner for home contractors in 2019. If you are looking for a home contractor that will treat you like family while offering top-quality service, look no further than this award-winning company! L&S Home Improvements has received many overwhelmingly positive reviews across five different verified sites with an average rating of 4.87 stars, earning them an impressive Rating Score™ of 99.72 and a 2019 Top Rated Local award for ranking as one of the top 10 home contractors in Michigan! what they said they were going to do, when they said they would do it, and did a great job for a very fair price. [I am] 100-percent satisfied, from sales to complete installation and the thorough clean-up.” -T.W. It is because of excellent reviews like this that L&S Home Improvements is now able to call themselves a Top Rated Local award winner! 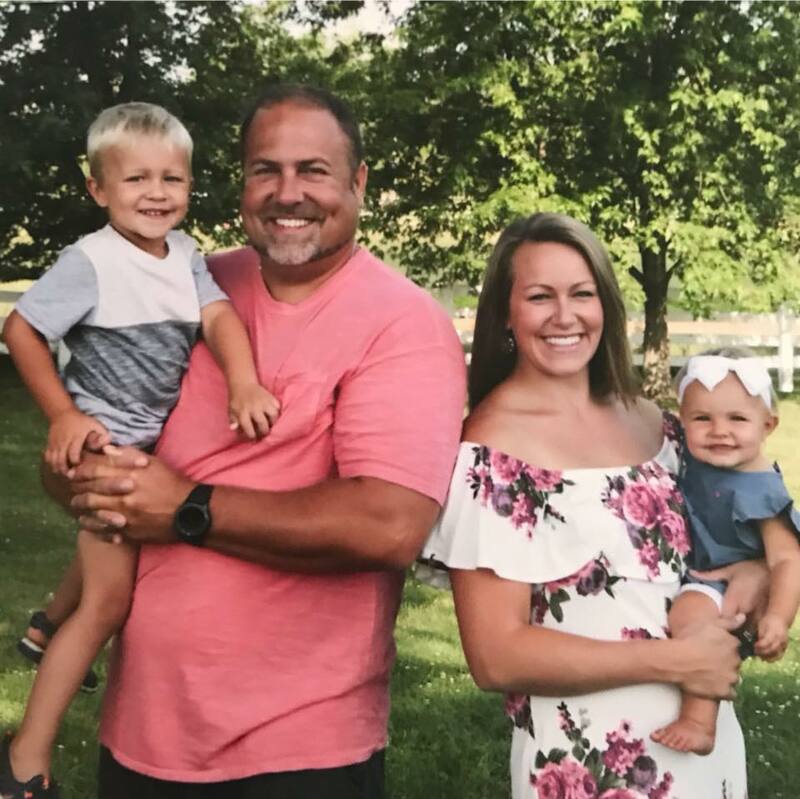 We were excited to learn all about how L&S Home Improvements has been able to build such an impressive reputation, so we sat down with the Director of Sales and Operations, Katherine Castiglione. “Do what you say you’re going to do. Show up on time, provide the quality that you say you’re going to provide, and follow up with your homeowners. Keep communication strong between staff and higher-ups in the business, as well as with homeowners. Try to get yourself out there. Post pictures of your jobs. Tell people about yourself. Work with other companies if you don’t know what you’re doing on the web — get with a professional web designer and a marketing team that can help you get started. Maintain [your web-presence]; you have to keep it up to date. You have to be watching it and add new content to it. 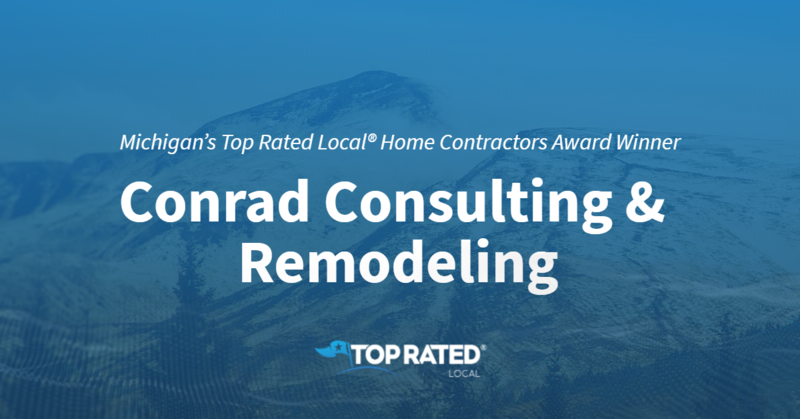 Congratulations to L&S Home Improvements for being a 2019 Top Rated Local award winner, and special thanks to Katherine for taking the time to speak with us!